Mit Texten von Reinhard Braun und Ines Schaber sowie einem Gespräch mit Diethart Kerbs (eng.). Archive Books, Berlin; Edition Camera Austria, Graz 2018. 44 Seiten, 17 × 23,5 cm, SW-Abbildungen. Analog zu den in der Ausstellung bei Camera Austria gezeigten Projekten entstanden zur Eröffnung die ersten drei Bücher und bis Anfang 2019 entstehen weitere zwei der fünfbändigen Publikationsreihe in Kooperation mit Archive Books. 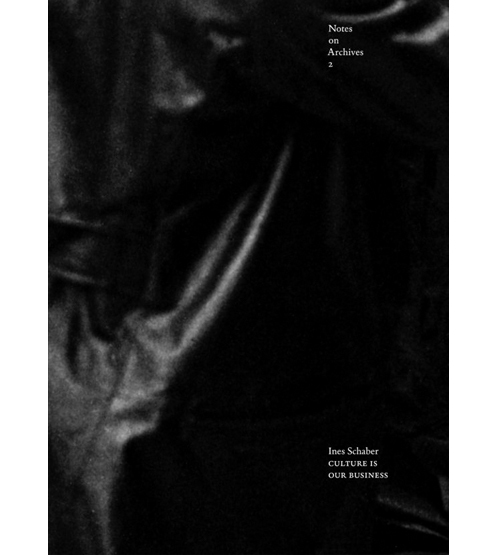 Cover: Ines Schaber: Notes on Archives 2. Culture Is Our Business, 2018. In the process of transferring analog material to digital data banks, small independent archives are often not able to keep up with bigger, economically driven archives, such as stock-image companies. Notes on Archives 2: Culture Is Our Business considers the case of Willy Römer, who in 1919 took a photograph of the street battles in the media district of Berlin during the German Revolution. Circulating widely throughout the twentieth century, Römer’s photograph in 2004 came to be owned simultaneously by a number of archives. Among them were the commercial stock-image agency Corbis, founded by Bill Gates, and the Agentur für Bilder zur Zeitgeschichte (Agency for images on contemporary history), an independent organization established by photo historian Diethart Kerbs. Both Corbis and Kerbs’s agency handle and make available the same image based on extremely different concepts and working processes. The book considers the complex issues around these two agencies. At stake in these differences are how the image’s story should be told, and how this telling is embedded in the viewing and understanding of history. 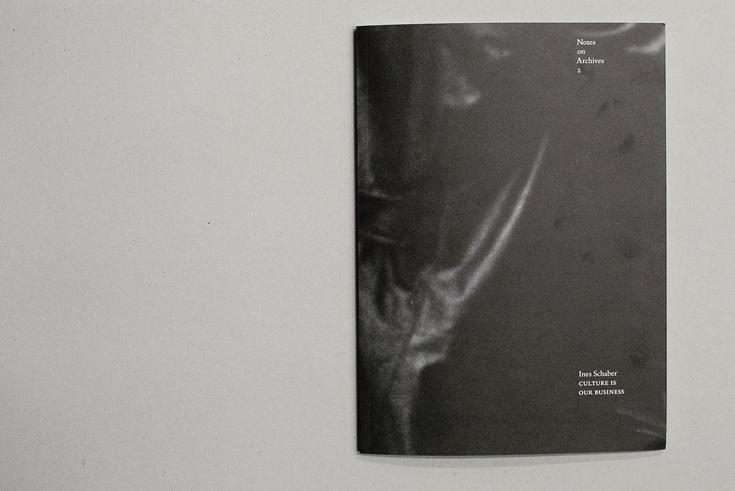 This publication includes material from the artwork “Culture Is Our Business” by Ines Schaber along with a conversation with Diethart Kerbs and a text by Reinhard Braun. Notes on Archives is a series of publications by artist Ines Schaber about archives and the practices we conduct in relation to them. 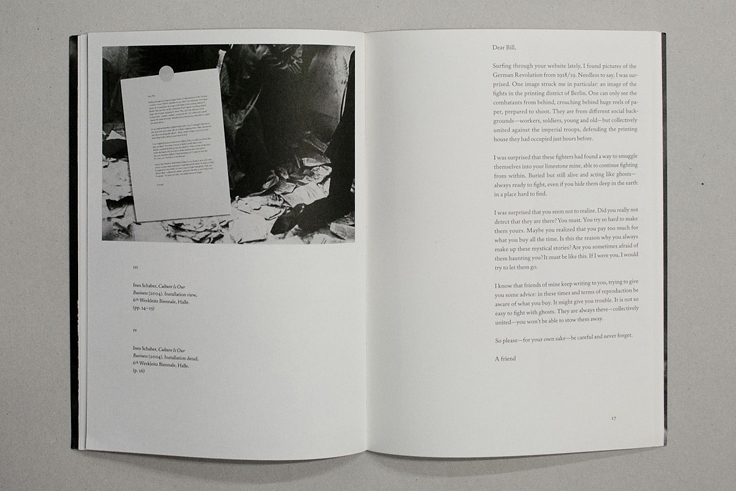 Produced over the course of more than ten years, the publications feature a series of case studies, research, concrete projects, and reflections on the questions and problems that image archives pose today. The aim of the work is not to find or create another institutional archive per se, but to develop a practice in which the set of problems that archives produce is in fact part of the process one engages in. The artist understands the archive as a place of negotiation and writing. “There is no political power without control of the archive, if not of memory. Effective democratization can always be measured by this essential criterion: the participation in and the access to the archive, its constitution, and its interpretation,” writes Jacques Derrida. Cover: Ines Schaber, Notes on Archives 2, Culture Is Our Business, 2018. 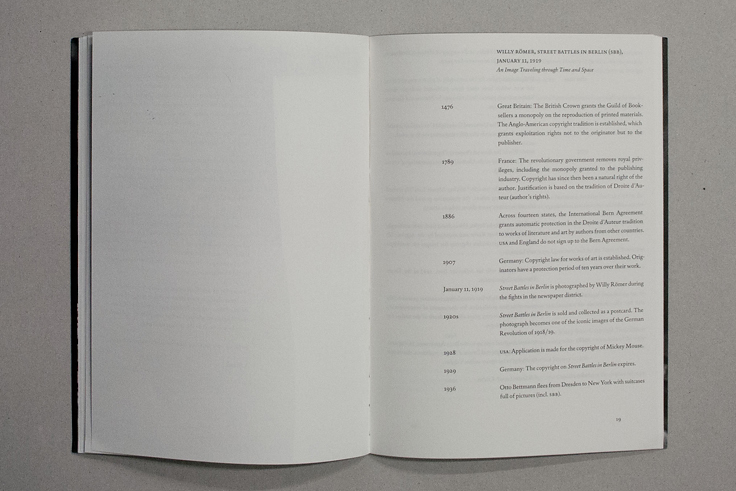 Doppelseite / spread: Ines Schaber, Notes on Archives 2, Culture Is Our Business, 2018, S. / pp. 4–5. 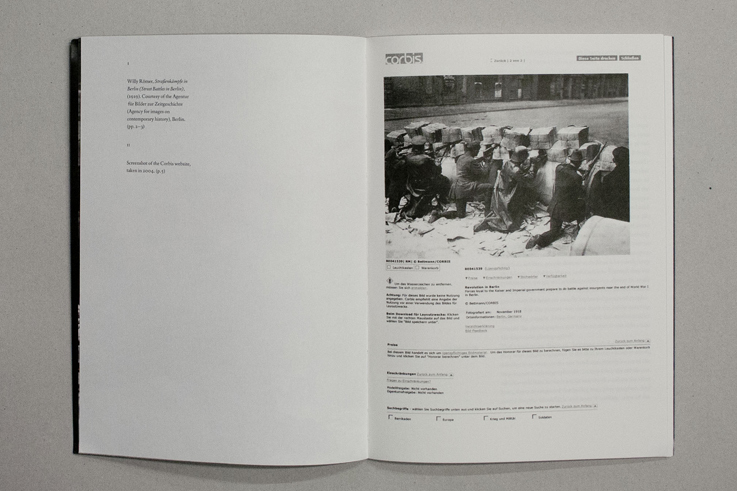 Doppelseite / spread: Ines Schaber, Notes on Archives 2, Culture Is Our Business, 2018, S. / pp. 16–17. Doppelseite / spread: Ines Schaber, Notes on Archives 2, Culture Is Our Business, 2018, S. / pp. 18–19.